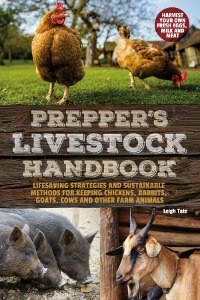 Do you have e-books on Dan's building projects? "how to build a simple gate" "how to build a goat feeder for 10"
Secondly, Im still thrilled to see the progress on the barn. Not only for you, Dan and your four footers, but because it is proof positive that if one keeps plugging along, dreams become realities! Thanks!! No eBooks on Dan's building projects yet, but I have plans for them. I have a current book commitment which I've almost met (whew) and then I'd like to work on more how-tos as well as other writing projects. Paula, thanks! That Youtube series sounds right up our alley. I will have to look for it. Sometimes Dan and I are looking for something to watch that isn't the modern nonsense, LOL. Yes, I am familiar with whitewashing. I whitewashed the interior of our chicken coop and also the original kidding stall. Somewhere I have a how-to blog post on it, also an e-Book! All of that was a number of years ago and I found that the simplest whitewash (hydrated lime, water, and salt) hasn't held up well on plywood. It's almost permanent on untreated wood though. Trouble is, I can no longer find hydrated lime locally. I used to be able to get 50# bags for very cheap, but no one sells it anymore. They've gone to pre-mixed cement and some sort of specially formulated stall lime instead. Looking good! I like the little details put in like the heart on the gate. Very nice, it looks like it will be such a sweet place for both goats and humans! You guys make good use of your time! That is a skill in itself. Looking great. Is he able to break up this enormous project in his mind as a series of smaller projects? I'd imagine the big picture view would overwhelm. tpals, that is something he's had to learn. He's always been a finisher of projects, but with this kind of lifestyle we sometimes have to work on big projects in stages in order to do the seasonal things required. It definitely helps to break big projects down into smaller bites. Won't be long now! I really like the gate design, nice personal touch. The gates are incredible. A touch of unique craftsmanship. We have a good supply of barn board we saved from the rebuild ... so Ralph is getting ideas! Fiona, it's fun being able to hand craft at least some of it. Makes it uniquely our own. that little heart he cut out of the gate though.... so sweet. Kris, for a long while we never thought it would happen, because every time we set the goal something else would happen. It's a relief to finally be getting it done! Chris, I think there's something to be said for pride in craftsmanship. Touches like these really show that. Sadly that's been lost in modern industrial manufacturing. 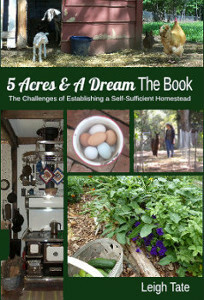 You're so wise to have documented everything you've done on your homestead. The pictures are priceless because when we're in the midst of it all (planning, building, waiting to purchase materials, etc.) the end seems to be the only goal and when that finally happens (! ), we so quickly forget everything that went into a project. I know we can be down and draggy about a current project but come across a picture or post of everything we've accomplished . . . and it gives us a real boost. You and Dan can/should rightfully feel the same way. I'm sure a lot of Dan's frustration comes from being away from home so much. But then he has a lot of time to think things through in his head before doing the hands on work! Mama Pea, I so agree about photo documentation. That's where the true value of a blog lies. It's all to easy to only see what hasn't been done, rather than what has. Makes all the difference in keeping a positive attitude and one's enthusiasm in tact. I love the way you reuse material - and I LOVE that little heart cutout on your gate! You two do a fabulous job! Susan, it's always an excellent feeling to not let things go to waste, isn't it? And yes, the heart is a really special touch!